If you are a self-employed individual or a freelancer, you should know what Income Tax Return (ITR) form you should use. Apart from it is vital to know the right form that will fit your needs, it also saves you time from filling out wrong forms. In our case, the Bureau of Internal Revenue (BIR) has provided two ITR forms for those self-employed: the form 1701 and the 1701A. Read on to find out which form you should use. What Is the Difference Between 1701 and 1701A? Using 1701 or 1701A form varies on your income type. 2. A resident alien, non-resident citizen or non-resident alien (within the Philippines). 2. Those who availed of the 8% flat income tax rate whose sales/receipts and other non-operating income do not exceed P3 million. You cannot file both forms since if you are earning a regular salary outside of being self-employed, you are then required to file form 1701, and not 1701A. Both forms should be filed on 15 April preceding the taxable year. How Do We Address this in JuanTax? Typically, JuanTax requirement FOR FILING is three (3) hours before the due date. But for the special case of 15 April deadline, we suggest you file your taxes two (2) days before due date especially when you have to pay your tax dues over the counter. 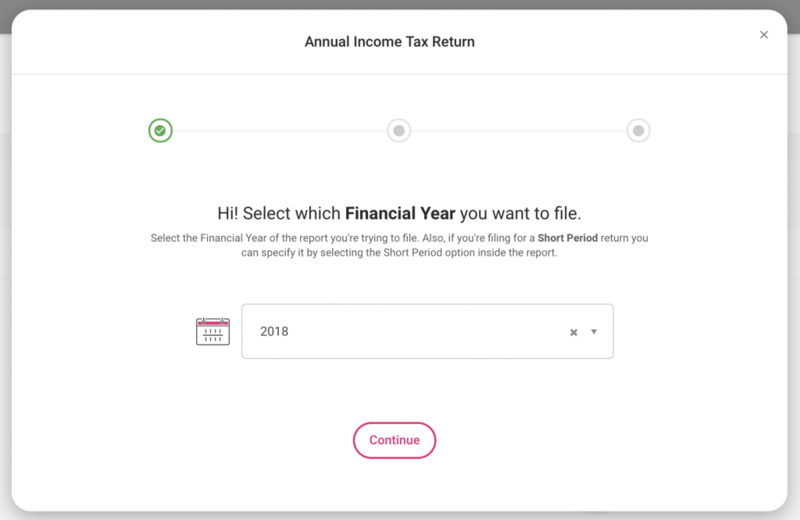 Step 1: Select which Financial Year you want to file. Then, click on Continue. 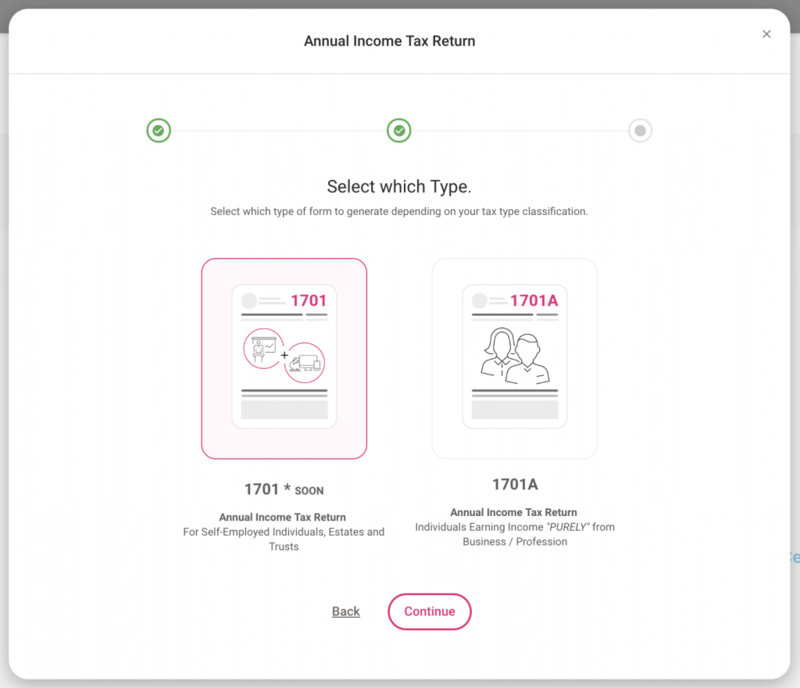 Step 2: Select which type of form you will generate depending on your tax classification. Note: Revised Form 1701 will be available in JuanTax before the April 15th deadline. 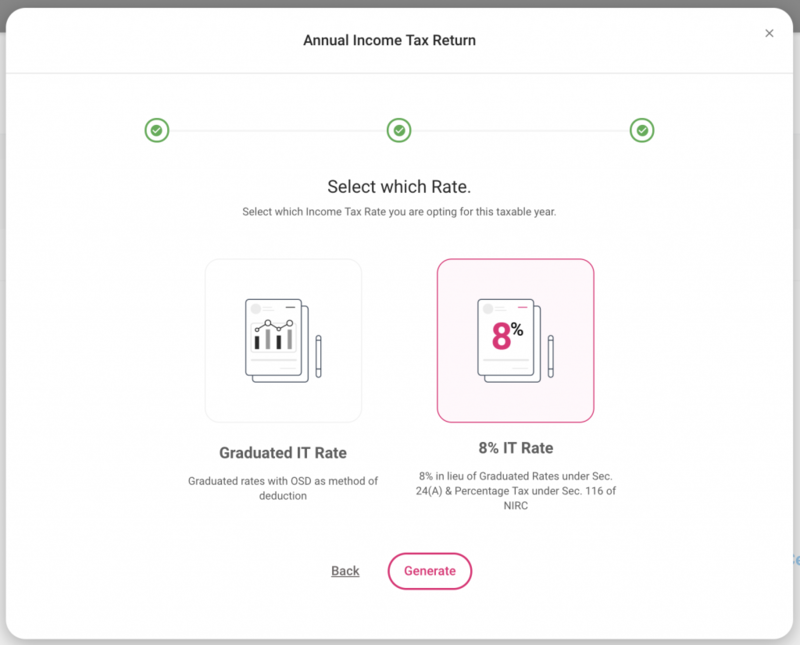 Step 3: Choose which Income Tax Rate you opted for the year you are filing. Then, click on Generate. Step 4: In the Input Summary tab, enter the necessary information that will auto-populate the form that will be generated in JuanTax. After which, you can now proceed with filing either Manually or Electronically. For easy access, JuanTax has also been made available both for iOS and Android which seamlessly synchronizes your records and activities while mobile and vice versa. 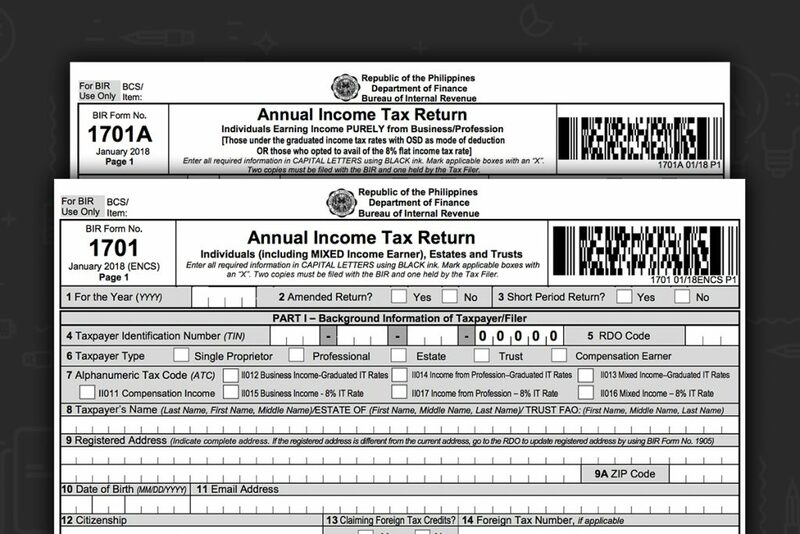 The forms are also adjusted to Tax Reform for Acceleration and Inclusion (TRAIN) Law with an automatic tax calculator. We at JuanTax prioritize hassle-free and safe filing and paying of taxes. Contact us at help.juan.tax or chat us on our website https://juan.tax/ for your queries.